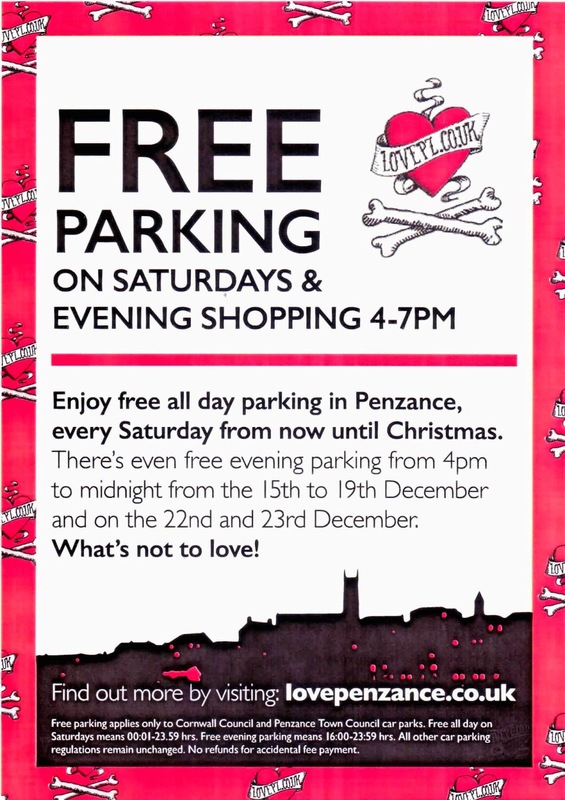 Free all day parking on Saturdays 29 Nov, 6th, 13th and 20 Dec. Starts 00.01 hrs and ends 23.59 hrs. Applies to Cornwall Council and Penzance Town Council car parks in Penzance. Free weekday evening parking startings Mon 15 Dec and includes 16th, 17th, 18th, 19th 22nd and 23 rd Dec (7 weekday nights). It starts at 16.00 hrs and ends 23.59 hrs.